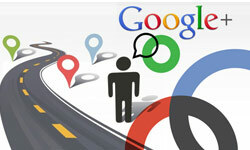 Imagine that when you see your blog traffic analytics, you see an increasing traffic in your blog. At first, you feel grateful of it. However, when you take a look closely, your bounce rate is more than 60%. It means a big portion of your traffic simply bounce back from your blog. They don’t stay in your blog for long. How to reduce the bounce rate in your blog? Most bounce rate that you experience is related with your content quality. In other words, people don’t like your content, so they leave immediately upon visiting your blog. It’s a signal for you, as a blogger, to increase your content quality. Re-read your blog content, and see whether your content quality is already excellent or not, or whether you don’t break up big paragraphs in your content. 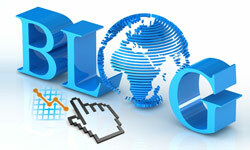 It is important to have quality content in your blog so that people will enjoy staying at your blog for a long time. There are many plugins that you can use to add related links in your blog. This way, when people read your content and see another interesting link, they will keep reading your blog until they are really satisfied with it. It will drastically decrease your bounce rate. If you haven’t placed any related link in your blog, and people arrive at low quality content on your blog, they won’t give your blog a second chance. Your blog template can also affect your bounce rate. People generally don’t like staying on blogs that have bad or ugly design. No matter how good the content, if your blog template is ugly, people will likely leave your blog anyway. So, it is important to improve your blog template. You need to make sure that people are comfortable reading your blog. Look at your template and see which parts of it you can alter for the better. Those are 3 tips to reduce your blog bounce rate. If you apply those tips, you will get more quality and loyal visitors to your blog, instead of one-time visitors. Remy is a freelance writer that loves to write on everything related to Internet marketing. He also provides reviews of InMotion hosting to help people choose their host. Thanks Remy for sharing such a great piece of content with us. Great tips, I’ve never taken the time to check out my bounce rate until today’s post came out asking about it, and I think I will print this out to try and work on it. Thanks for sharing Sté. While we can be lead to believe that setting up a blog on a plain template is enough, it seems that it can be more beneficial to b fancier (in some cases). By linking to other pages on the site, I believe that a webmaster could not only optimize his/her site (for Google) but also increase the time visitors spend on the site. One thing you forgot here is the website speed, though it may be unrelated, it definitely helps in lowering your bounce rate since readers would be likely to exit the page if your site loads slowly. Add a poll to your blog site. Polls are a great tool for your visitors contemplate for a moment, find the answer or decide and vote. Polls can make your blog and your blog posts interesting. Linking back to related previous articles by the same author. Provide a “Most popular posts” section. Even if your visitors find your article not engaging enough, they might like to read your more popular postings. Great advice! I think polls are a great way to engage your audience! Thanks for the comment! My bounce rate is pretty bad (97 % or 98 %). I will try those tips to see if I have any improvement. Actually the idea to add related link is pretty good. I often click on recommended articles when I read a blog. The bounce rate on my blogs and websites have always been high, but that’s because most of the searches to my site have been specific to one or two of my pages. Unless your site is about a very specific niche, most people are just looking for an answer or information to a particular issue, which is often found on one page. While I hear about blogs that are based on returning visitors, I have yet to crack the code on how to build one. Try creating “Step-by-Step”, “How To’s” and “Tip” blog posts. Also, writing content that can answer a question is another great way to attract unique visitors. Ever-green content is the best way to reduce your blog’s bounce rate. Nice article. I have heard the term ‘bounce rate’ thrown around but really did not have a clear understanding of what it actually meant. I like the idea of adding related links. I do think that readers would respond well to “two-fers”. If they know they can go to one site, but can quickly get related information from other sites, that will save them time and provide even more interest in the subject matter. Glad you enjoyed the article! We love hearing comments! Check back for more related topics. Content can be a subjective subject as it is open to much interpretation depending on visitor background. Some people are more visual inclined so have excessive video links works as opposed to massive amounts of written dialog. If you are not a “reader” by nature, blogs with fantastic written content will make little difference in visitor retention. Doing your demographic research on your market is the best option.